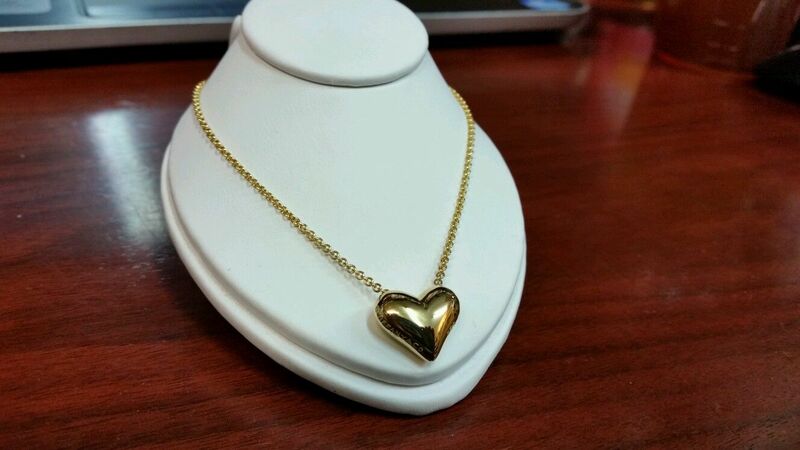 Pre-owned in very good condition Tiffany & CO 18k floating puffy heart necklace. Has been authenticated by a professional and features all appropriate stamps and markings. 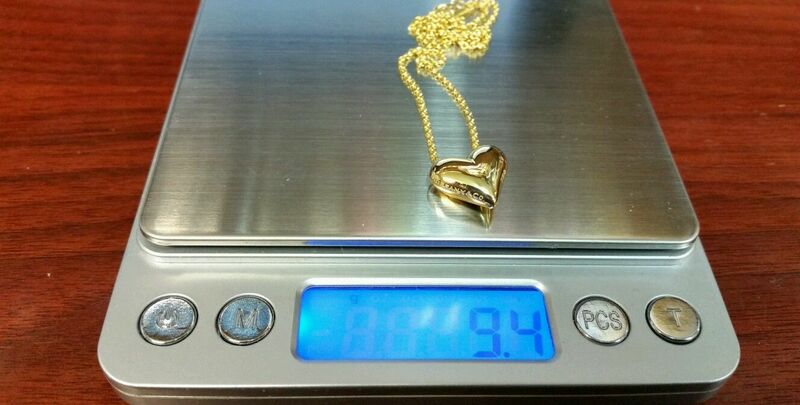 Weighs approximately 9.4 grams and measures 16″. 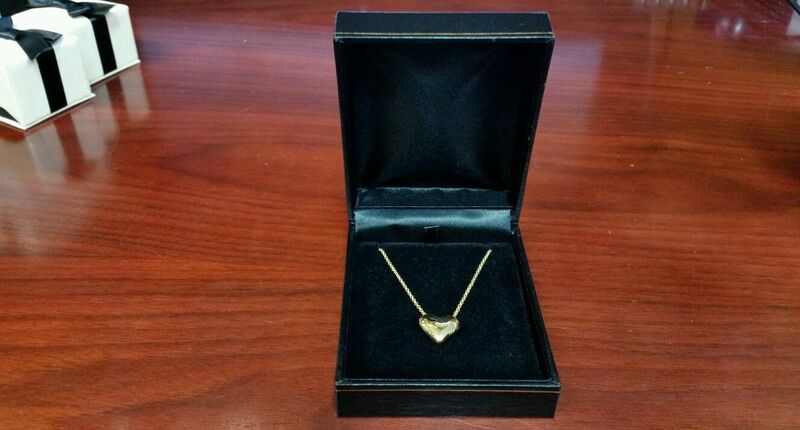 Necklace is in beautiful condition and is likely to make any woman smile. Comes with black and gold necklace box only. Unfortunately original pouch and box are not available.